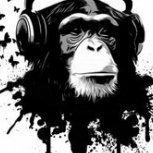 Please review this thread if you are having trouble finding your Steam Custom URL. 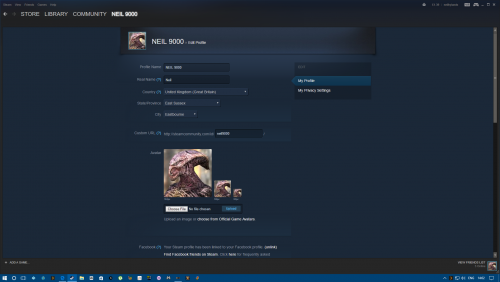 It's important to note that your Steam Custom URL has nothing to do with your Steam login ID, and may not be the same as your Profile Name. We can all thank Valve for making it so confusing. 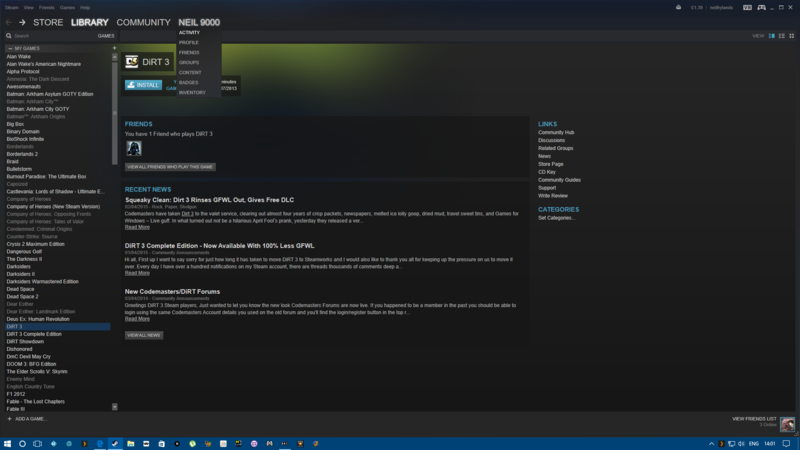 Your Steam Custom URL is available to read or set from inside of Steam. So first, open Steam, and then click your profile name at the top: Then, click the "Edit my Profile" link on the right: Your Custom URL is available on this page: If you need further help, please feel free to comment below. Steam is an old piece of software. 12 years old, so no doubt its been upgraded and upgraded with patch and bandaids for so long that things... are a tad jumbled. Hey Jason! Might be an idea to add an error trap for fools like me that add the trailing slash to the URL as implied by Steam otherwise one just gets the account not found thing at the end. Y'all have an awesome day now. 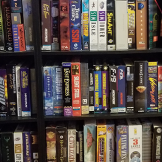 Only problem i jave with adding my steam id is that launch box then adds all my games i own but i do not have them all installed or do not want them on my arcade pc due to they are purely KBnM supported, if i coud have it just search my currently installed pc games on my arcade machine it would be much better, since at the moment i have to go thru all the gamed i dont want and then delete them. Mute64 said Only problem i jave with adding my steam id is that launch box then adds all my games i own but i do not have them all installed or do not want them on my arcade pc due to they are purely KBnM supported, if i coud have it just search my currently installed pc games on my arcade machine it would be much better, since at the moment i have to go thru all the gamed i dont want and then delete them. With how the API is, it doesn't know what is installed but rather that you just own it. There is no real way to make it do that right now. I have the hang up about it too. However, it's lead to me seeing some random games that would have got lost in my almost 2k Steam Library. It lead to a few happy accidents. Yeah, we had this implemented before (searched the hard drive for installed Steam games), but it was horribly glitchy. Unfortunately, there's not a good way to do it. Jason Carr said Yeah, we had this implemented before (searched the hard drive for installed Steam games), but it was horribly glitchy. Unfortunately, there's not a good way to do it. No worries it isn't a huge annoyance for me and it is easy enough to delete the games i do not want. is it just me who it isn't working for. i have done it before no problem but now i am on a reformatted pc and just got big box. Hi ALIE, any chance you changed your Steam privacy settings? Also, be 100% sure that you're using the right Steam Custom URL. 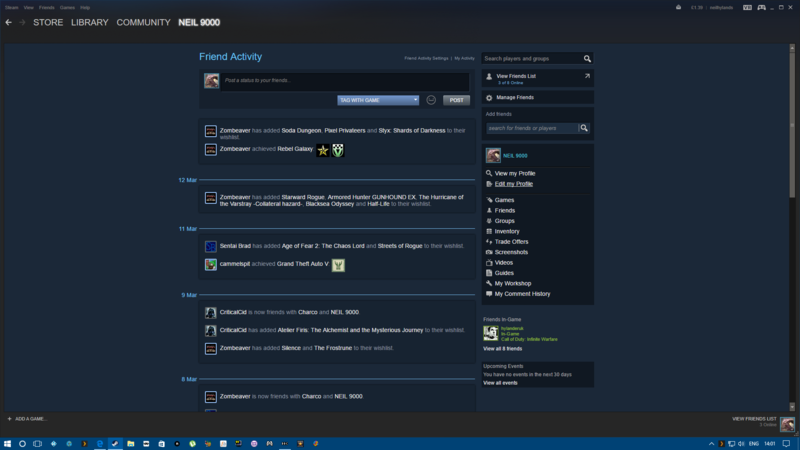 Steam makes it stupid confusing because it's different from your user name and anything else. 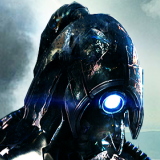 Jason Carr said Hi ALIE, any chance you changed your Steam privacy settings? Also, be 100% sure that you're using the right Steam Custom URL. 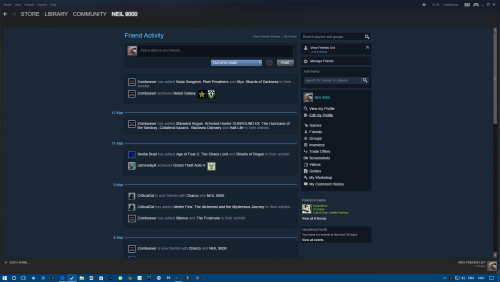 Steam makes it stupid confusing because it's different from your user name and anything else. 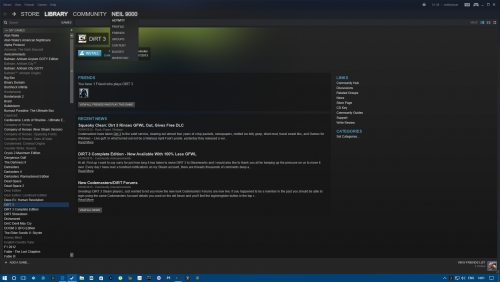 I just imported my Steam games. That is awesome and easy. I just bought a LB license since I really like LB over Hyperspin. My question is, does LB check for new games ever or do I have to go through the import process every time I buy new games after the initial steam import? And if I delete the games in LB for games that are not installed, i'm guessing they are going to keep coming back if i have to keep reimporting steam games for new purchases? Yes, when you want to add new games from your library to your LB setup you have to manually use the Steam import wizard every time. But the update process is very quick because it only adds your new games of course. And yes your right with your assumption that LB will re-import all your deleted Steam games. The best way to avoid this is to not delete the games you don’t want and hide them instead. Right click on a game and choose edit. Here you have to check the “Hide” checkbox and the game won’t show up anymore in your Windows games list. ohhhh, HIDE!! very good!! thanks!! 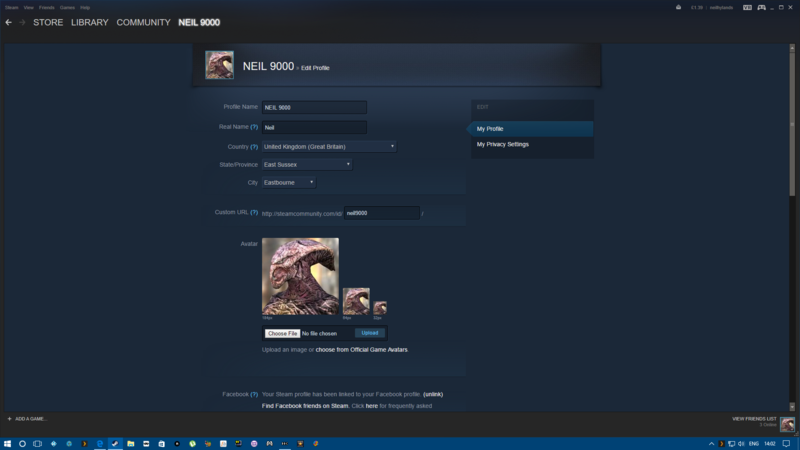 Click your username at the top of steam, click edit profile on the right of the screen, it is displayed on the next page.